Have you thought about adding a swimming pool to your property? Take the plunge with our swimming pools in Dorset. Installing a swimming pool will add huge benefits to your property. That is why, at KB Pools, we want to tell you why you should install a swimming pool on your property. We will take you through the variety of designs you could choose from at our showroom in Dorset. Choosing one of our Dorset swimming pool designs will be a hard choice and one that you shouldn’t make lightly. Here, we have listed some of the pools that we supply so that you can get a complete picture of the luxury swimming pools that we provide for your property. Do you want to build your fitness? Keep fit while you swim when you install our endless pool designs in your home. Our endless pools are designed to keep a constant flow of water within your pool. This would be an ideal feature for those interested in keeping up their fitness at home. Swim against the tide in this innovative new design of our endless pools. Wooden pools are the latest pool designs to stand above the ground. These pools are pleasing to the eye and will add a touch of warmth to your pool designs. Constructed using innovative architectural designs, these swimming pools combine beauty with functionality when you fit them on your property. Interested in a swimming pool but have little space? If there is limited room on your property but you are dying to get your hands on a swimming pool, then KB Pools will solve all your problems with our movable pool floors. When we install a movable pool floor to a room in your property, your spacious retreat will transform into an entire swimming pool right before your eyes. Read more on how our movable pool floors work and why you should install them with us. 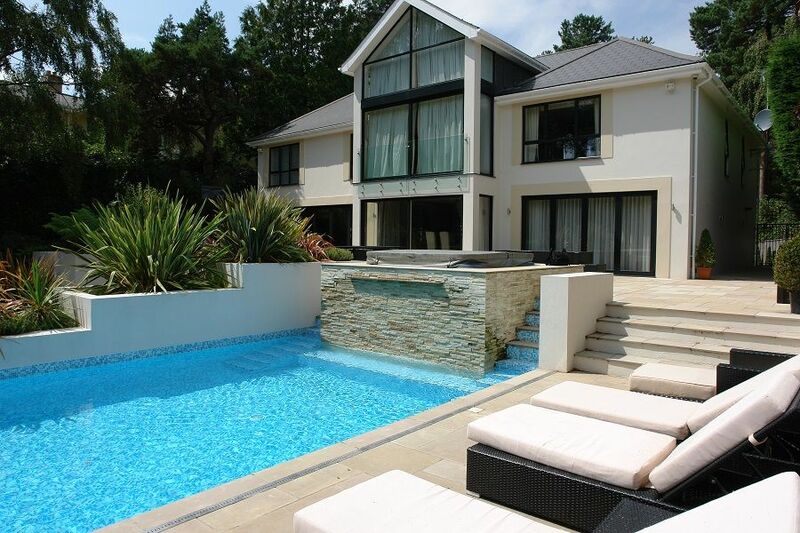 KB Pools are a company driven to providing the most luxurious pool products for customers across the Dorset area. When you are interested in a swimming pool, we offer a fabulous array of designs at great prices. Insured by the Swimming Pool and Allied Trade Association (SPATA) you have the knowledge that a professional company will supply and fit your swimming pool in Dorset. Give us a call on 01202 518067 or email sales@kbpools.co.uk for more information.